Dr. Mishari Dahrab is a Consultant Pediatric Ophthalmologist & Strabismologist working in the Albahar Eye Center of Kuwait. The Albahar Eye Center is the leading public sector tertiary ophthalmic care service in Kuwait. 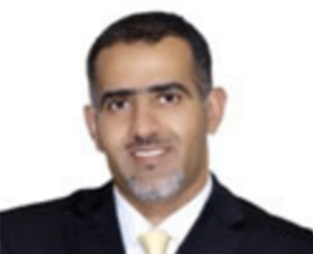 Dr. Mishari is also the Chief Pediatric Ophthalmologist & Strabismologist at the Kuwait Specialized Eye Center, which is the largest private tertiary ophthalmic care center in the country.Upon graduating medical school in Kuwait, Dr. Mishari went on to gain ophthalmic training with a 5year Ophthalmology Residency Program at McGill University of Montreal, Canada. After attaining his Canadian Royal College of Surgeons Designator and Canadian Medical Council Licensure, He went on to having a further 2 years training in surgical and clinical Pediatric Ophthalmology & Strabismus at Dalhousie University of Halifax, Canada.On the Academic front, Dr. Mishari is a Lecturer and an Examiner for the Kuwait Board of Ophthalmology, as well as holding a prior post of Lecturer to the department of Ophthalmology at Dalhousie University. He also resides as a member of his departments Canadian Accreditation Committee.